I just changed my hair color a week ago! I am really excited and worry at the same time. Excited because i will get new looks, and worry because i am afraid the color doesn't suit on me. 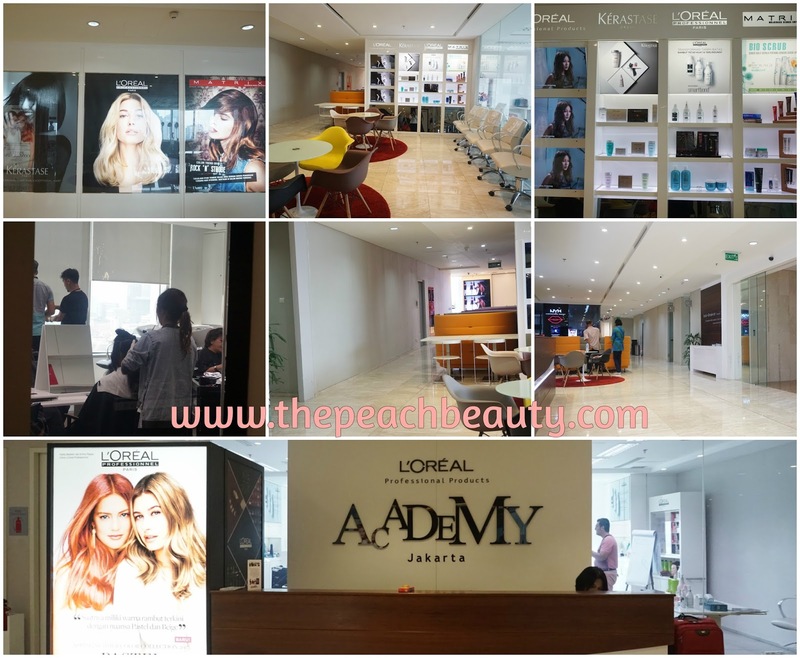 At the end, i am still come to the L'oreal Academy in DBS Bank Tower to do the treatment. I have got the chance from ci Carnellin's instagram for hair make over day using INOA. 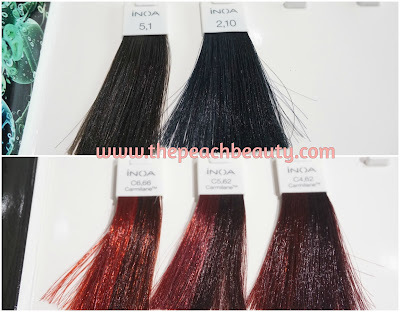 INOA's Hair Coloring is the only color line say that it brings your hair closest to it's most virgin hair. INOA's also perfect for sensitive skin. Hair coloring from INOA is the best! You can get INOA Hair coloring treatment only at L'Oréal Professionnel salon. Who doesn't want hair gorgeous shiny color? I Love changing up my hair color uses INOA Color. Thank you so much Ci Nellin for the chance. Also, big thanks to L'oreal for hair make over day! I love my new hair color right now. I have got schedule at 2pm for the hair coloring treatment. But, i am still waiting for the first one because still have not finished yet. I have time to looking around the L'oreal Academy. The place is so modern yet cozy. I just start my hair coloring around at 3pm- 4pm. First thing first, all i need to do is consultation with my hairdresser. My hairdresser of today is Mr. Ash. He is also a teacher at L'oreal Academy. After consultation, now is the moment of truth. I need to pick my color, it's so make me confused. But Mr. Ash is pick me burgundy color, he said it suit with my tanned skin. Burgundy is violet mix with red. The color is too bright for me. I am afraid, my manager at office will kill me if my hair color is too bright haha. So i keep looking for another hair color, but yap! Because i don't really like brown, or orange, so i decided to change my hair color with the first color Mr. Ash pick for me. I still not believe it finally i changed my hair color. It's been quite long time right. My Hair Shampoo for Hair Coloring. Discover INOA, our leading no ammonia permanent hair colour range with Oil Delivery System (ODS2) technology, for all hair types. With the expertise of your hairdresser and an in-depth colour consultation you can achieve your perfect shade that is free from ammonia! How much does it cost INOA professional hair color? It does cost around 777K - 1077K IDR (Indonesia Rupiah) or USD$ 57 - 79. The price it may vary, depends on the hair salon you visit. Where you can try INOA professional hair color? 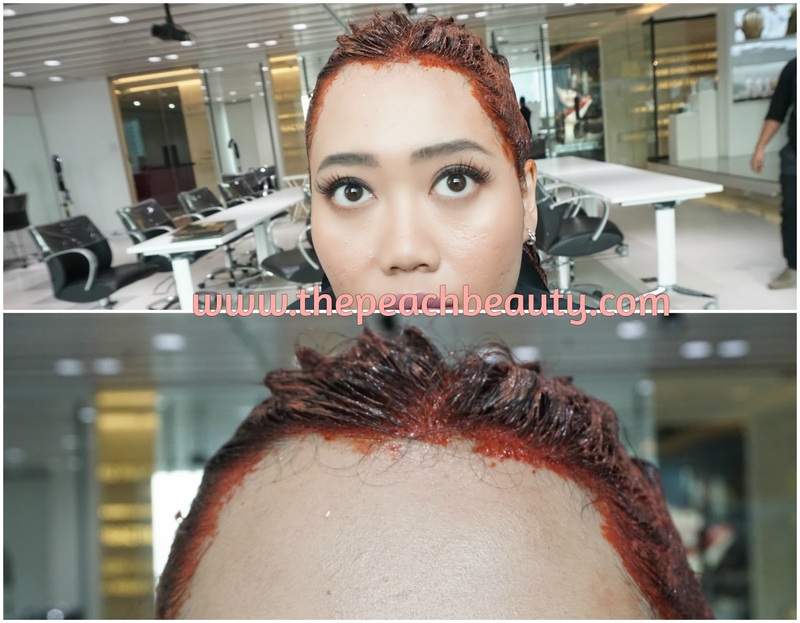 Hair coloring from INOA is the best! You can get INOA Hair coloring treatment only at L'Oréal Professionnel salon. Example: Irwan Team Hair Design Salon.